"The Olicamp Electron stove includes an easy to use piezo-electric ignition system for brewing up quickly on the fly. 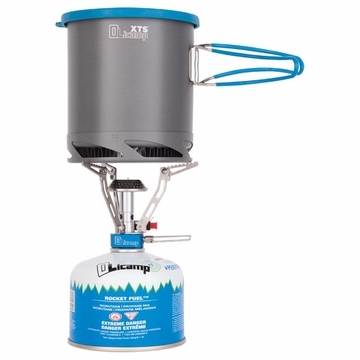 Stainless steel foldable pot supports and compact stove construction with machined aluminum block valve for durability. Rounded burner design for even flame control on the pot surface using low output. The rounded burner head improves the gas and oxygen mixing inside the burner for efficient flame output and maximum heat. Folds and stores inside the hard plastic case included with every stove.